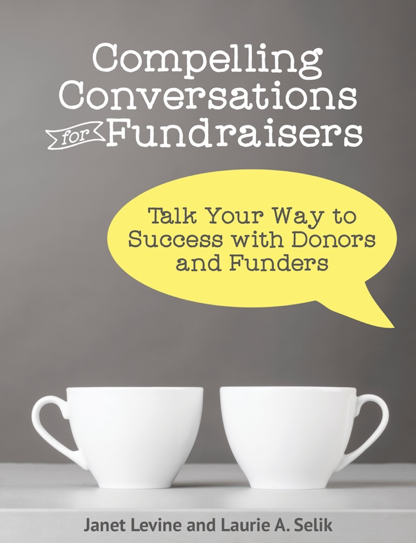 Capital campaigns tend to bring out the best in fundraising—large gifts for important projects. It works because campaigns are, or should be, time-limited activities using a variety of techniques to raise funds for a specific project. When that is the case, success generally follows. Very large organizations—universities, hospitals—can throw a bunch of other projects into the mix, but typically each unit within the large organization has a focus for their donor pool. Lately, I’ve been called in to help resurrect stalled campaigns, and always there is one commonality—the original campaign was designed as a “comprehensive” campaign. A comprehensive campaign is one where everything, including annual giving, is lumped together as part of the campaign goal. This must work in certain instances or I can’t imagine why the original consultants—almost always large, national ones—would push this. But to me, it makes no sense. Conflating the annual fund with a campaign makes it too easy for people to add a bit to their annual and say, “Yes, I’ve made my campaign commitment.” It also makes it too easy to take money from the annual and have it go to the campaign. In either case, both lose. Instead, ensure that everyone understands the difference between annual fund, which goes to support the organization’s good works now, and the campaign, which is focused and a specific initiative for a period of time. Beyond that, cultivating a major gift—and gifts to the campaign are mainly major—is different than cultivation for an annual gift. In the latter, it is something you do, and hopefully they respond positively to, every single year and, consequently, takes one, maybe two intentional interactions. Major gifts, being for something special, often takes longer. Longer to explain what and why you are doing what you are doing. And longer because, unlike annual gifts that come from a person’s income, major gifts often come from assets. This takes longer to navigate. And, perhaps most importantly, in many ways the annual gift is the “must make” gift for many donors. It is what they do to sustain your organization. The campaign or major gift is special. It is a thoughtful gift. Handled correctly, it is also an “and” gift—the one they give in addition to the gift they give every year. Janet Levine helps to move nonprofits from mired to inspired. Learn how at www.janetlevineconsulting.com. While you are there, sign up for the newsletter and request a free, 30-minute consultation. This entry was posted in campaigns, major gifts and tagged campaign, comprehensive campaigns, cultivating gifts. Bookmark the permalink.